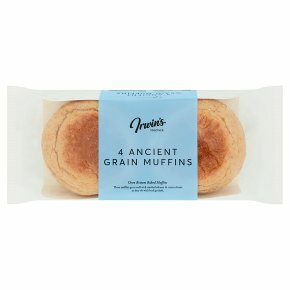 Soft Muffins with a Blend of Ancient Grains & Seeds. Toast me. High in fibre. Low in sugar. Suitable for vegetarians. Try toasted, topped with rocket, sliced vine tomatoes and crispy bacon.